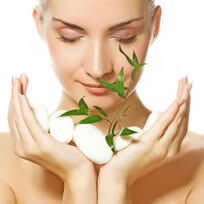 AssoBar is an acne system that is simple and claims to be effective. 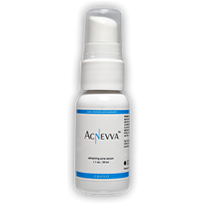 Rather than include three or four steps, AssoBar uses one step to treat acne and supposedly keep it away. Assobar claims that the secret to success is its use of gold. In each bar of soap there are small flecks of real gold. Is gold the secret to clear skin? Let’s see what Assobar is all about. AssoBar is said to stimulate collagen production, provide antioxidant benefits, increase blood flow, increase cell growth, clear acne blemishes, reduce swelling, and improve skin tone. In ancient history gold was used by Cleopatra, Chinese Empresses Ci Xi and Xi Shi, and Queen Naphatalie to rejuvenate and keep skin younger longer. This same practice is used with AssoBar. Gold has also been used for centuries as an anti-inflammatory agent, especially with arthritis. Furthermore, gold works in different ways to help skin stay youthful longer. When skin ages it loses its elastic nature. This results in diminished collagen and elastin production. AssoBar works to stimulate collagen and elastin as well as reduce its depletion in the future. AssoBar is also able to improve cell growth through increased blood flow. 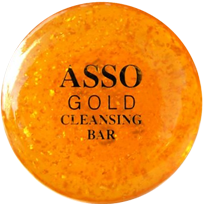 AssoBar’s gold ions penetrate deep into skin to provide antioxidant benefits. Antioxidants then work to fight off free radicals and the signs of premature aging. 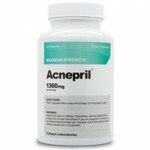 As an anti-inflammatory AssoBar reduces swelling that is caused by acne breakouts. AssoBar’s other ingredients include coconut oil, palm oil, aqualene, herb oil, vitamin C, and glycogen. When combined with gold these ingredients cleanse skin better than any other acne treatment. Using AssoBar is simple – just wash your face with a lather twice a day. The glycogen is also good to see. With this beneficial ingredient your skin will be able to maintain moisture which protects against some of the effects of aging and makes your skin look more supple. AssoBar can be used by simply cleansing for thirty seconds both morning and night for effective acne fighting all night and all day. By harnessing the power of gold, AssoBar is not only effective as an acne treatment but also as a wrinkle treatment. I was extremely disappointed with this product. It lasted only one week! I think it’s ridiculous to pay that price for a bar of soap that lasts for such a short period. I’d recommend looking into something else if I were you. I also tried getting in touch with their customer service and never got a response back. I emailed them at least once a week for three weeks and never so much as received an acknowledgement that they had received my email.